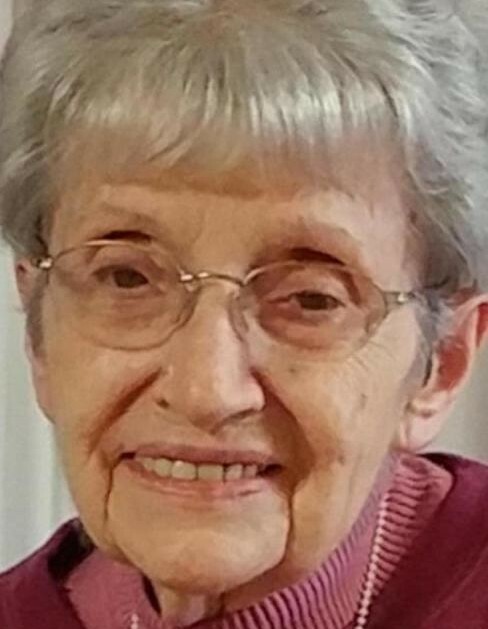 JERSEYVILLE- Carmen Edith Madson, 97, died at 3:07 p.m., Monday, April 1, 2019 at the Jerseyville Manor Nursing Home. She was born in Carrollton, Illinois on January 3, 1922, the second of eight children born to Omer Kent and Nellie Mae (Sullivan) Sloan Sr.
As a young girl, Carmen grew up in the Carrollton area, where she attended schools. She began working at the International Shoe Factory in Jerseyville, and Owens-Illinois in Alton, and as a young lady, at the age of 21, she married Warren "Tug" Madson. The two married on March 18, 1943 in Jerseyville, and together they shared 52 years of marriage prior to his death on July 9, 1995. Soon after they were married "Tug" was called to service during World War, and Carmen followed him to Connecticut with their son, Robert. While he was fighting overseas, she was employed with Pratt-Whitney in Hartford, Connecticut where she assisted in making airplane motors. After his discharge the Madsons returned to the area, and shortly after, were blessed with a second child, Diane. Carmen spent her adult life as a homemaker, a loving mother, and a wonderful grandmother. She was a member of the Holy Ghost Catholic Church in Jerseyville, the Jerseyville American Legion Auxillary, and was a Gold Star Mother. She is survived by her daughter and son in-law, Diane and Terry Taylor of Jerseyville; three grandchildren and their spouses, Dawn and Jerry Cooley of Fosterburg, Todd and Jeanette Taylor of Kane, and Jason and Danielle Taylor of Jerseyville; nine great grandchildren, Brianna, Brooke, Allyssa, Christopher, Emaleigh, Alice, Halle, Lindsay and Brinley; a great great grandson, James; and three sisters, Vera Woolsey and Vonita Green both ofJerseyville, and Lorene "Rinkie" Flowers of Godfrey. In addition to her parents and husband, she was preceded in death by a son, Robert Warren Madson, who was killed in action during the Vietnam War; two brothers, Franklin Sloan and Omer Kent Sloan Jr.; and two sisters, Margaret "Eileen" Wyatt and Betty Allen. Visitation will be from 3 to 7 p.m. Thursday at the Crawford Funeral Home in Jerseyville , where funeral services will be conducted at 10 a.m. Friday. Father Martin Smith will officiate. She will be laid to rest in the Valhalla Memorial Park in Godfrey. Memorials may be given to the Wounded Warrior Project.